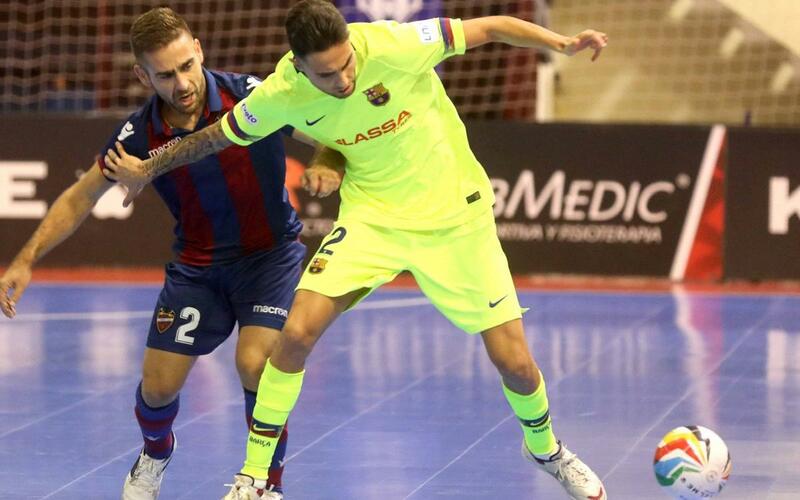 Barca Lassa grabbed three more points with a 3-2 win at Levante UD following a comeback from a 2-0 deficit. Levante’s Sena scored in the 6th minute and Jorge Santos in the 16th, but Barça scored three unanswered goals in the second half to take the victory. Ferrao opened the scoring for Barça in the 24th to cut the Levante lead in half, and Adolfo tied it up in minute 27, while Barça’s great persistence in search of their third goal finally came when Lozano scored the game winner seven minutes from time. Barça goalkeeper Juanjo was excellent throughout, and foiled several Levante chances late to seal the win for the Catalans.